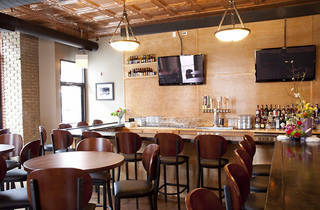 Former bartenders open a neighborhood spot in Lakeview. 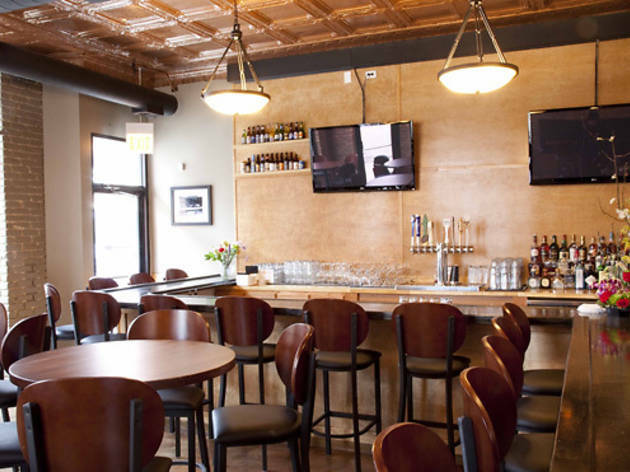 The duo behind George Street Pub are no fair-weather Lakeview fans. “We’ve all lived in this neighborhood, all worked in this neighborhood. We both ran businesses within a three-block area from here,” explains Ali Denziman, who’s opening this neighborhood bar with Jimmy Donnary. The longtime bartenders—Denziman at the seafood dive Half Shell, Donnary at Yak-Zies, both just a few blocks from GSP—have given what was previously the Union a full gut rehab, installing new TVs and making way for 60-some beers (14 of which will be on tap). And they’ve brought on a chef (David Najman) to turn out “high-end bar food,” such as New England clam chowder, shrimp cocktail, a corned-beef hash sandwich and a fried-crawfish po’ boy. “We’re not a drop it and fry it kind of location,” says Denziman. But if you want to drop in for a beer and something fried, they know how to accommodate you. 2858 N Halsted St, 773-915-5005.